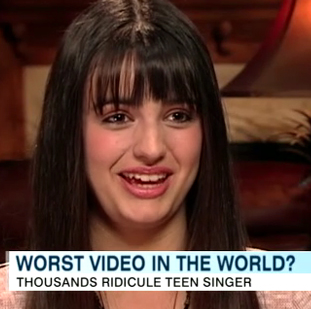 Even though her infamous single “Friday” was only played on the radio a whopping 12 times, Rebecca Black is still the biggest viral sensation of 2011. She has yet to be dethroned as the most popular Twitter topic of 2011, and her breakout video has been viewed more than almost every video on YouTube – even outpacing the prolific Gaga. Nonetheless, the video has already been seen over 5 million times, as Black still has legs in the media world. We love to have someone to make fun of, but we also not-so-secretly envy admire her completely random success.